Korres is a modern Greek apothecary brand specializing in natural skin, bath & body, and color cosmetics. You can find Korres at Sephora and Shoppers Drug Mart. I was pleased to find out that Korres is a cruelty-free brand as they are committed to a strict no animal testing policy. Korres also carries a handful of vegan products where you can find a full list below. We are strictly against animal testing, and do not test any ingredients or products on animals, nor do we hire outside companies to do so for us at any stage in production. All our tests are performed in the lab either in vitro (using synthetic skin cells) or on human volunteers under the surveillance of a dermatologist or specialty doctor, i.e. an ophthalmologist. We do not sell to any countries that require animal testing, and we follow the European Union’s strict legislation that bans animal testing on finished cosmetic products and their ingredients. 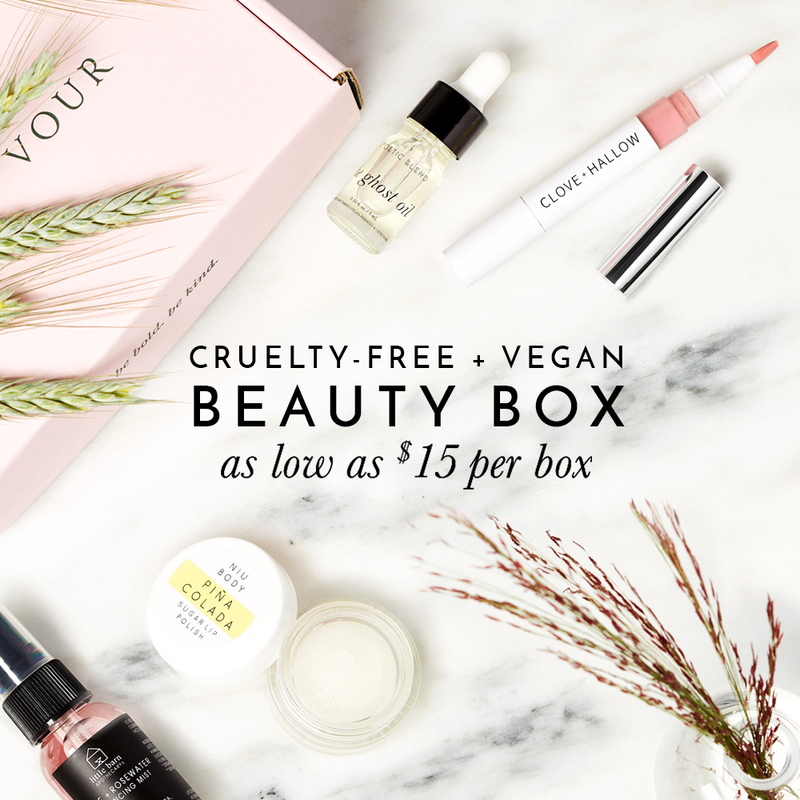 I am happy to confirm that Korres is indeed a cruelty-free brand! Next, which of Korres skin, bath and body, and makeup are considered vegan and do not contain any animal-derived ingredients? Each product is clearly labelled on their website to indicate which of their products are vegan and they also provided me with a helpful list of their products that were not suitable for vegans. If a product you’re interested in is not included on this list, be sure to check out the drop-down at the bottom of this page to see if it’s listed as “not vegan”. Using both their website and the list provided, I’ve compiled this list of Korres’ vegan products. Note: Ingredients and formulations may change since the publishing of this list, please read list of ingredients to ensure products are suitable for vegans. Have you tried anything from Korres before? Is Live Clean Tested on Animals or Cruelty-Free? Is the Pomegranate Balancing Cream-Gel Moisturiser Vegan? I couldn’t find it on the list. The non-vegan list was provided by Korres. They are NOT VEGAN at all. It says that the products are either vegan friendly or vegetarian friendly. But if you look into the ingredients it contains glycerin, glycol, glyceryl oleate, and some more. Those are 100 % from animals, and they clearly say there are no animal-by products in their products when on the ingredients list right next to it you have a mass of animal products in their products. Really ironic. Glycerin and glycol comes from animal fat or boiled animal fat, unless it is said that it was extracted from plant oil. Which moreover is never the case when it comes to glycerin and glycol. Its sad that they are lyving. If the products I just mentioned and more that I have not had the time to check are not infact taken from animals and plant oils, it should have been said so. Since if the name purely have stated “glycerin” or “glycol” it is from animals. I’ll update this post and let you know when I hear back from them.